Was 2017 Australia’s most stressful year? According to Medibank research, stress is affecting Australian’s relationships, sleep and mental health. Was 2017 a stressful year for you? Well, you weren’t alone. According to new Medibank research(1), the incidence of stress peaked this year, with the number of Australians affected rising from 3.7 million 2007-08 to over 4.9 million in 2016-17. The research(2) revealed lack of sleep was self-reported as a key contributor to Australians’ rising stress levels in 2017 (44 per cent), with other leading factors including juggling too many things (36 per cent) and pressures at work (39 per cent). Wider economical, societal and political flux also played a role, with housing affordability (17 per cent), pressures from social media (12 per cent), and the global political climate (11 per cent) causing stress for many. The majority of Australians surveyed felt stress not only impacted their sleep (62 per cent), but their social relationships as well. Fifty two per cent admitted they became irritable with loved ones and colleagues, 36 per cent felt reluctant to take part in social activities, and 18 per cent felt they were unable to be ‘there’ for family members, due to the stress they were experiencing. “It’s clear 2017 has been a tough year for many, with both personal and wider societal pressures being the major contributors to our stress. That’s why it’s essential we do everything we can to take care of our mental wellbeing, and continue to look out for one another as we enter a new year." The research(3) also found those affected by stress were more likely to suffer from mental health conditions, such as depression, anxiety and panic attacks, when compared to the general population,. And while there’s still a lot to learn about the link between stress and the immune system, these findings suggest that the ability to fight off infection may be lowered by ongoing stress, and that the incidence of headaches may be higher amongst those experiencing stress. 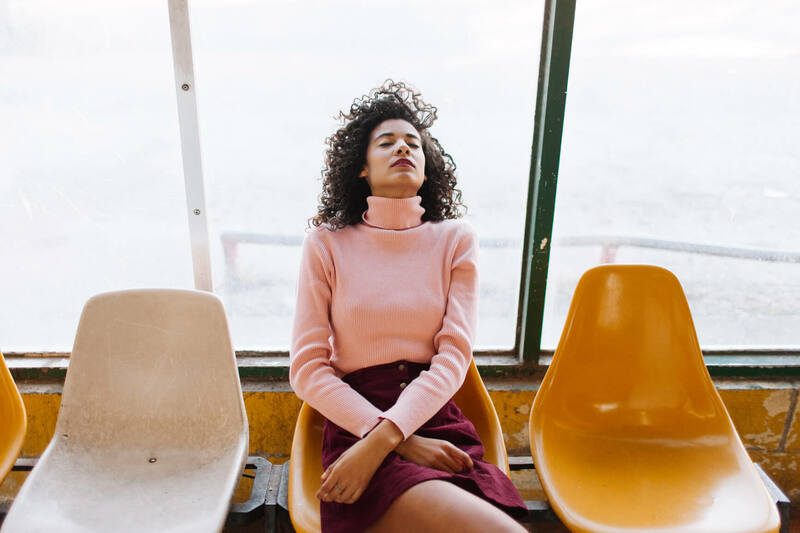 “While stress in some circumstances can be normal, we know that if left untreated, persistent stress can contribute to the onset of certain mental health conditions, or exacerbate them. And while the findings do indicate a potential link between stress and some physical health conditions, external studies have not identified a causal relationship here, and therefore more research is required to determine whether stress could be having an impact on certain physical health conditions,” Dr Swan said. Postpone major life changes: Whether it’s moving house or getting a new job, major life changes can be stressful at any time. If you’ve been struggling with stress, consider putting off big changes until a later date. Get moving: Exercise is a great way to relieve stress and improve mood. Aim for around 30 minutes of moderate exercise a day – this could be anything from walking to work or going to the gym. If you’re looking for ideas, check out Medibank Free + Active, which offers a range of free, social activities around the country. Connect with others: Talking and connecting with people with similar experiences can help you get into a good headspace. Joining the beyondblue Online Forums is one great way to connect with others. Practice mindfulness: Breathing exercises, meditation and other relaxation techniques can help to manage some of the symptoms of stress. You can even practice mindfulness while commuting to and from work with the help of handy meditation apps. beyondblue also has some relaxation exercises you might find useful. Get support: If you’re struggling to manage your stress, it’s important to seek support, whether it’s from a friend, loved one or medical professional. And remember, your GP is always available to help. Medibank has partnered with beyondblue to make a difference in the lives of people affected by anxiety, depression and suicide. If you are experiencing stress or need to talk things through, contact the beyondblue Support Service on 1300 22 4636 or speak to your GP. If you’re a Medibank member with hospital cover, you can also call the 24/7 Health Advice Line on 1800 644 325. 1 Research from the Medibank Better Health Index, conducted by Roy Morgan Research. Data collected between July 2007 to June 2017. 23.1% reported suffering from stress ‘in the last three months’ in 2007-08, compared with 26.3% in 2016-17. 2 Research conducted by ACA Research, with fieldwork taking place between 24 November 2017 and 29 November 2017, with 1,005 Australians surveyed. 3 Research from the Medibank Better Health Index, conducted by Roy Morgan Research. Data collected between July 2007 to June 2017.